Jewish Home MK proposes law revoking all workplace rights from MKs charged with endangering the State. 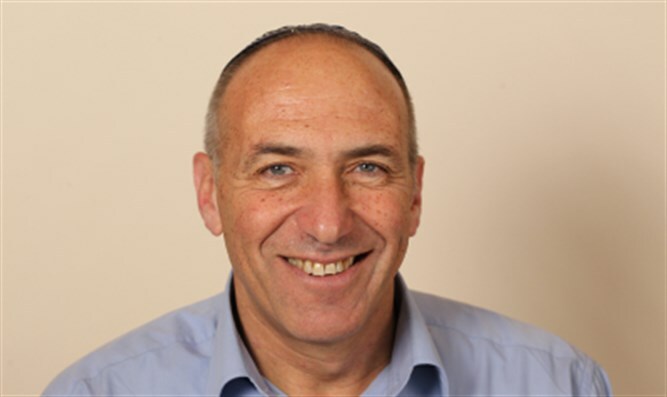 Jewish Home MK Moti Yogev will submit on Wednesday a proposal to revoke the salaries and compensation for public figures accused of crimes which endanger Israel's safety. The bill comes after Joint Arab List MK Basel Ghattas was indicted for smuggling cell phones into jail, aiding terror activity, smuggling documents while bypassing prison authorities, and breach of trust by a public official. The current law, which was enacted in 2011, was enacted to prevent former MK Azmi Bishara from receiving compensation after he was fired for crimes endangering the State of Israel. The new law would put an end to existing loopholes, ensuring those who harm the State of Israel's security suffer more drastic financial consequences, losing their compensation for being fired, severance pay, pension, and any other funds provided as part of their salary or benefits. "It's unfathomable that the Israeli public will pay out of pocket the pensions of those Knesset members who were charged with aiding terror and harming Israel's security," Yogev said. Im Tirtzu CEO Matan Peleg said, "The Arab Balad party for years has shown its brilliant legacy of harming Israel's security, and now MK Basel Ghattas' turn has come. This proposal will revoke all rights and benefits of public figures who act to harm the security of the State of Israel and its citizens. "This situation, in which government representatives commit dangerous crimes which endanger the country but continue enjoying benefits paid for by the country's taxes, is a situation which cannot continue. "We need to remember that all Knesset members, regardless of gender or religion, are expected to abide by the law and not act as traitors. Government representatives must think twice before choosing to endanger the Israeli public. "This is one more step in our fight to stop Israeli citizens' taxes from being used to fund the State's enemies."